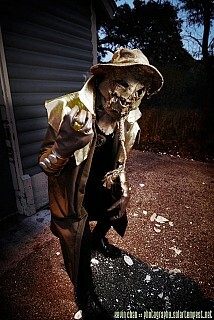 This costume was a joint effort between StargazerGemini and I for my brother. 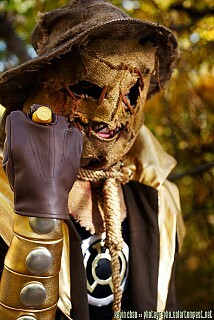 He made the bracers, mask, hat and symbol. I made the suit and the jacket. All in all, I'd say it took at least 40 hours to make. 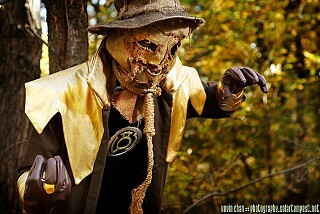 So far, my brother has worn it to FanExpo 2010, the Toronto Zombie Walk 2010 and the High Park Fall Shoot 2010. Stargazer borrowed it and wore it to Dragon*Con 2010 as well. 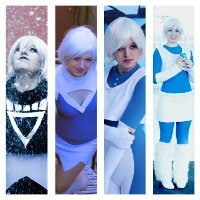 Lots of wears so far! 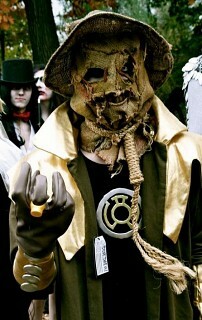 Hopefully Stargazer and I will have our costumes to go with it for Wizard World Toronto 2011.